Our wood, steel, and fiberglass entry doors protect your loved ones while also upping your curb appeal. Whatever kind of Atlanta entry doors you have in mind, Tight Line is the locally based, industry-leading company you can rely on. Since 2004, Tight Line has been the premier entry door company across the Greater Atlanta region, including communities like Marietta, Roswell, and Alpharetta. With over 30 years of experience in the construction industry, we know how to offer superior products and skilled installations—at affordable prices! Fiberglass Entry Doors: Fiberglass is one of the strongest materials on the market today, offering heavy-duty fire, impact, and pest resistance. Steel Entry Doors: Steel entry doors are a cost-effective yet secure choice for any home entryway. Wood Entry Doors: Our fiberglass and steel entry doors can be made to mimic the classic look of wood without its potential problems. No matter which material you choose, you can rest assured that the final result will meet your expectations because all of Tight Line’s replacement entry doors are tailor-made for you! Select your color, finish, and hardware—along with optional energy-efficient upgrades—for an entry door that’s absolutely perfect for your home. 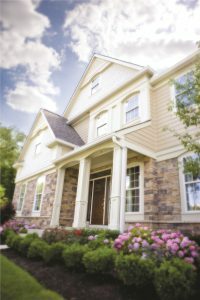 Request Your Free Entry Door Estimate Today! At Tight Line Exteriors, we seek to be your trusted resource for replacement doors in Greater Atlanta—so call us today to get all of your questions answered and schedule your free in-home cost estimate! To get started right now, please fill out our quick online form.